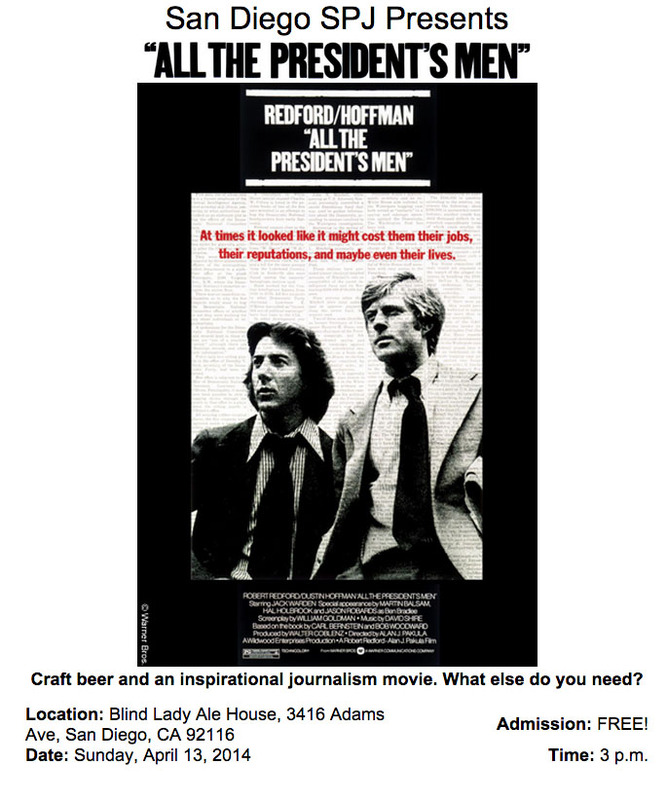 A reminder to come celebrate the 40th anniversary of Watergate by watching “All the President’s Men” with fellow journalists and their friends and family this Sunday while drinking craft beer at Blind Lady Ale House. We will also have a special brief presentation from a local journalist who interviewed Robert Redford and covered Watergate. Who: Journalists, friends, family. Under 21-ers are also allowed.